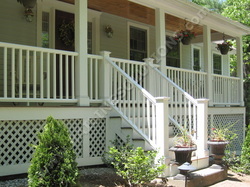 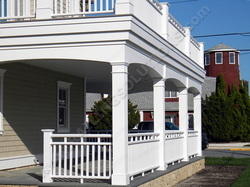 Traditional style railing system for deck, porch and balcony. 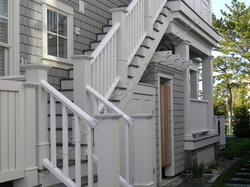 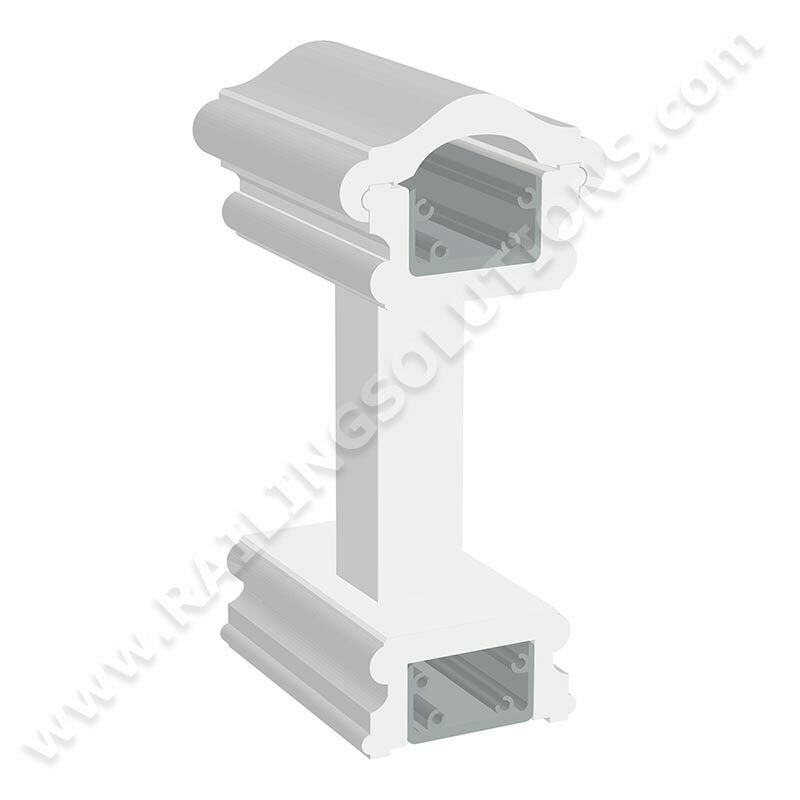 Square balusters, sleek handrails in two sizes and smooth newel posts with a flat cap. 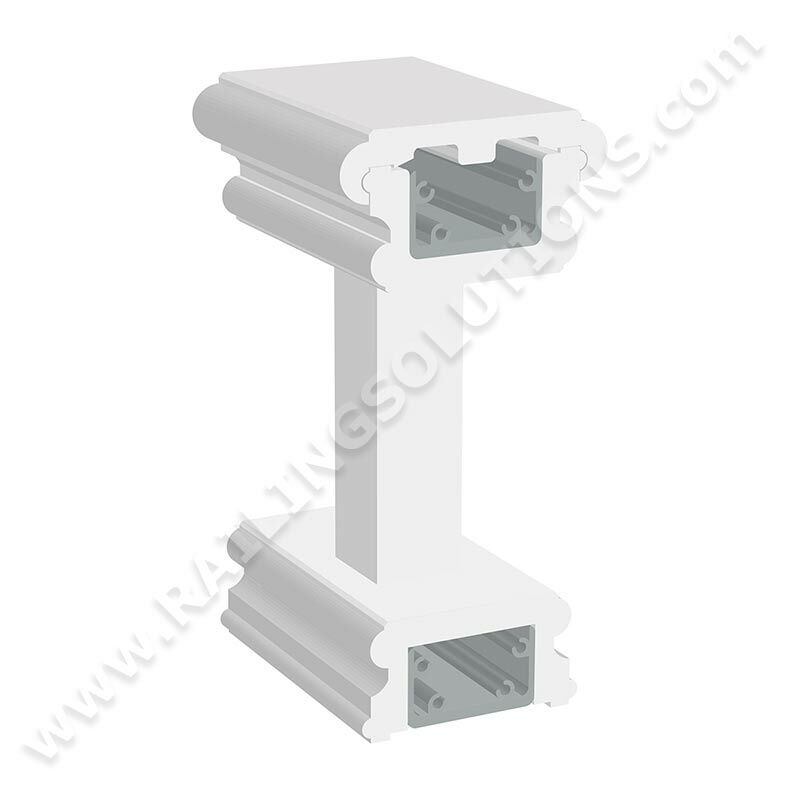 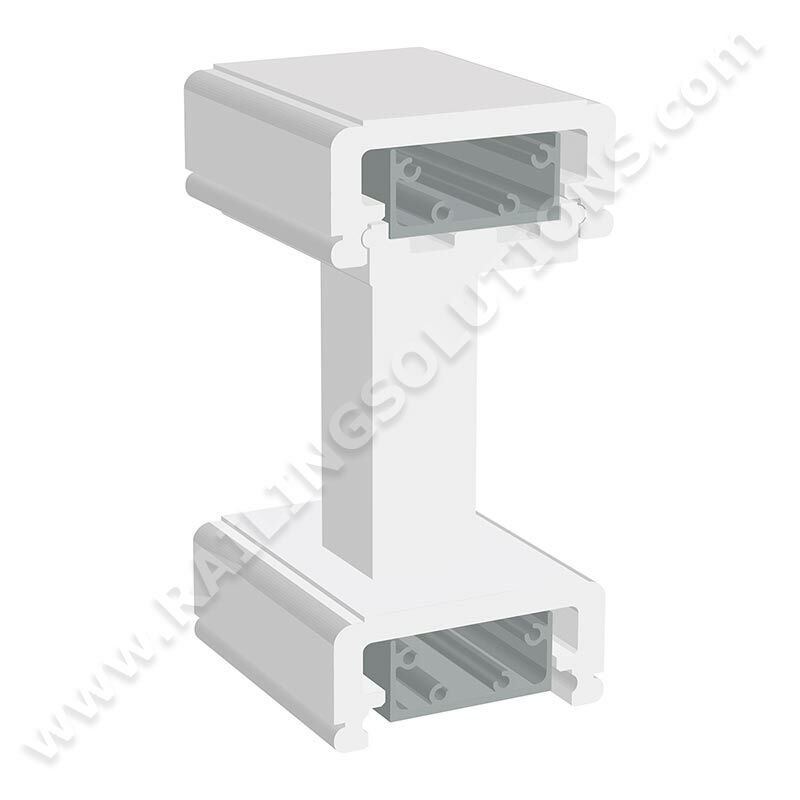 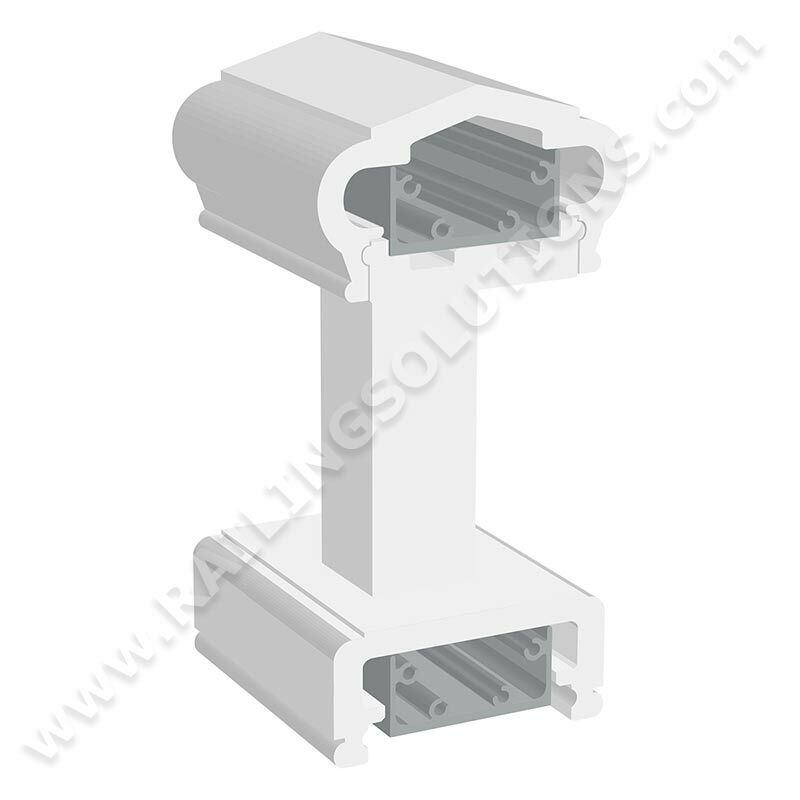 Cost-effective low-maintenance cellular PVC; not shiny plastic. 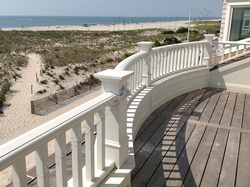 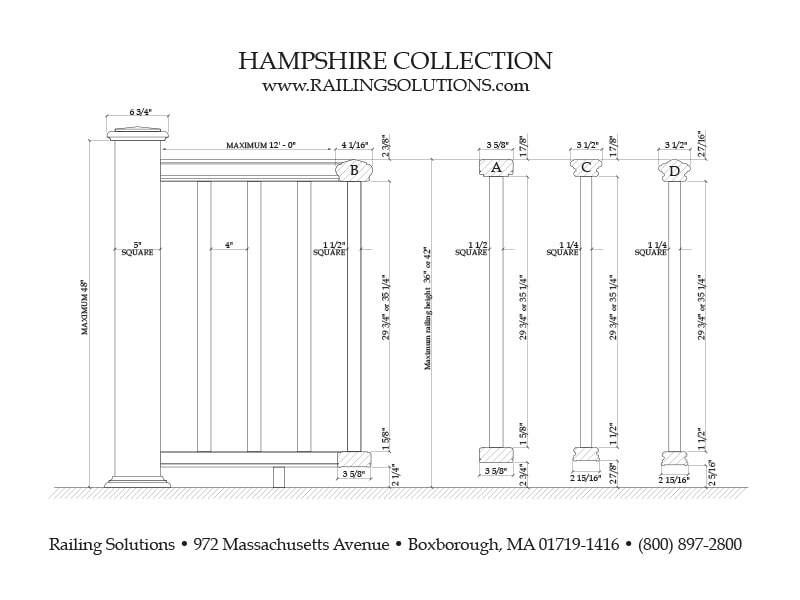 Curved railings and limited custom designs available.